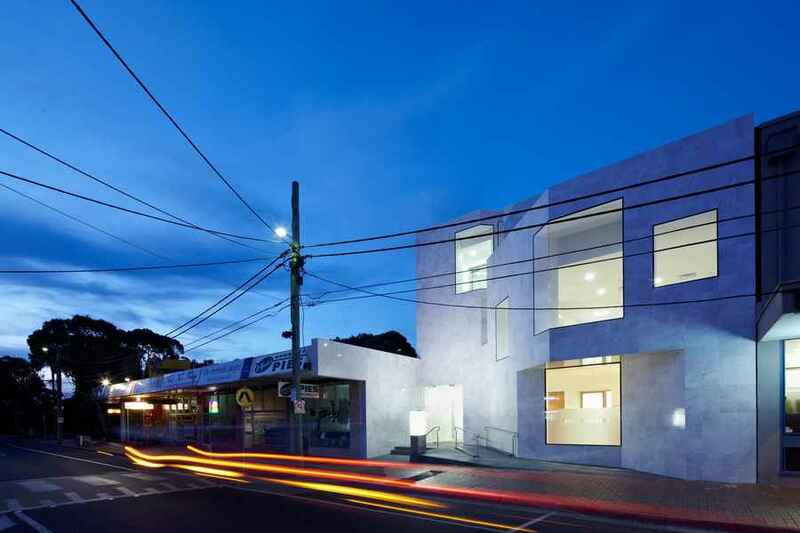 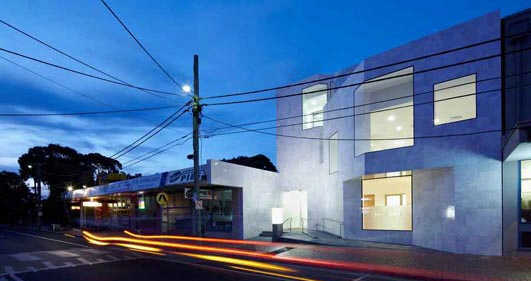 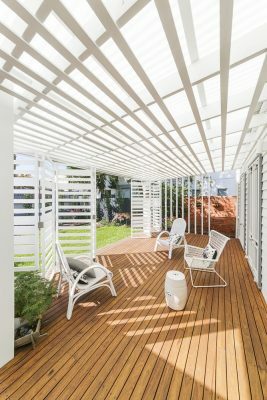 This project, in the Melbourne inner-city suburb of Prahran, consists of a new verandah inserted at the back of a single storey Victorian weatherboard house. 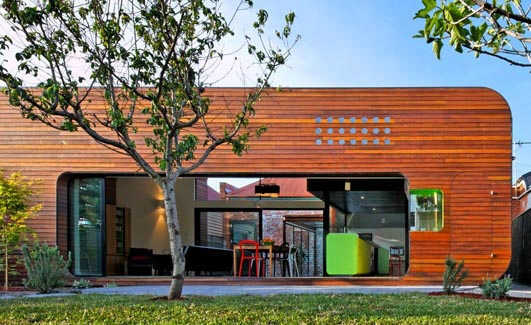 It is a contemporary insertion designed as an extension rather than a disjunction with the heritage qualities of the house. 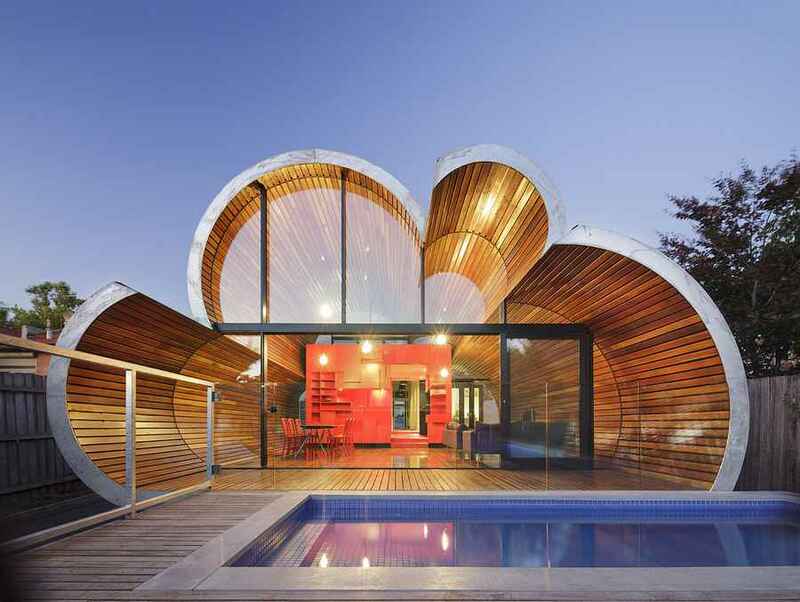 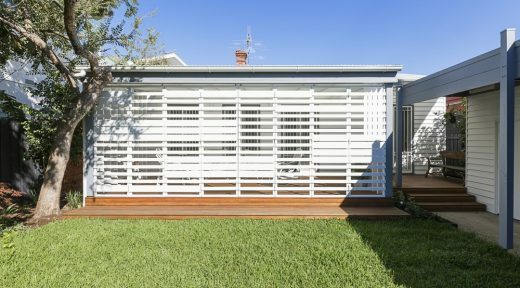 In multiple ways it operates to mediate between things: it forms the spatial interface between the house, the garden and the existing carport structure; a privacy screen from neighbouring properties; and, also an environmental interstice between inside and outside. 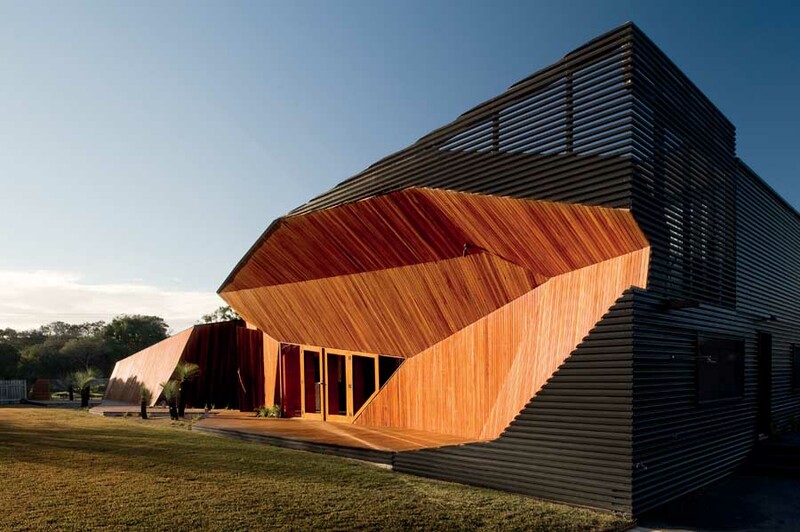 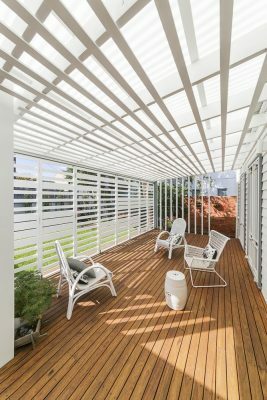 With its strong language of linear screening, the verandah is designed to filter out the strong summer sun without making the interior of the house dark, especially in winter. 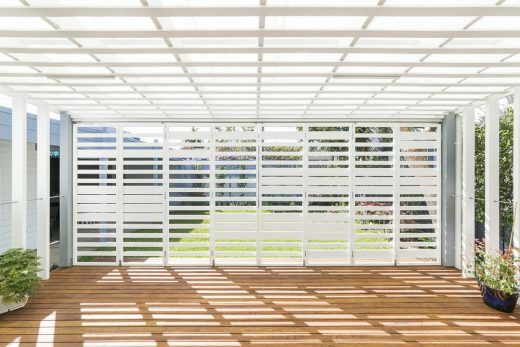 The translucent fibreglass roofing provides diffuse daylight, but is further filtered by the layer of horizontal boards that line the underside of the roof. 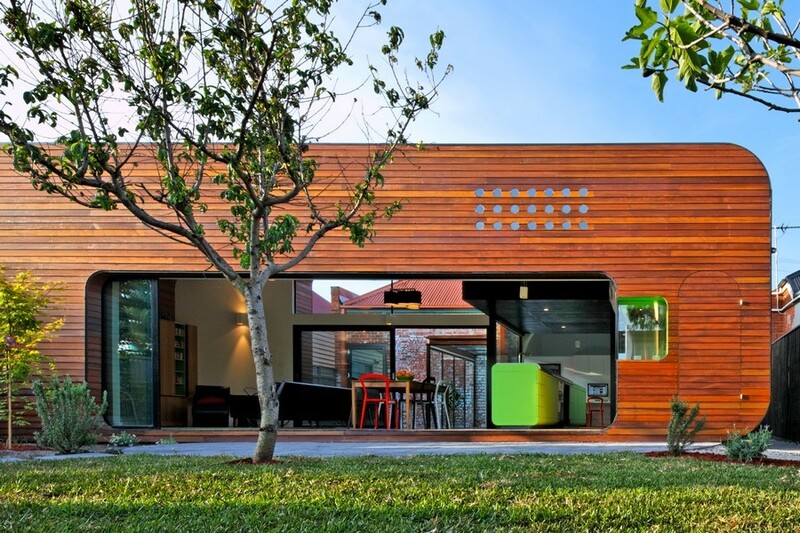 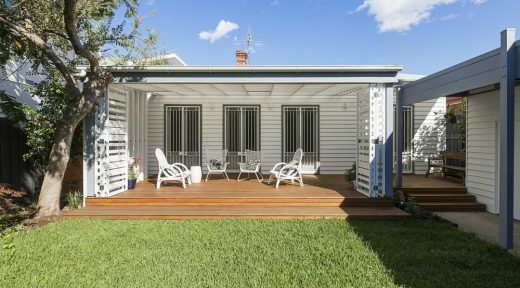 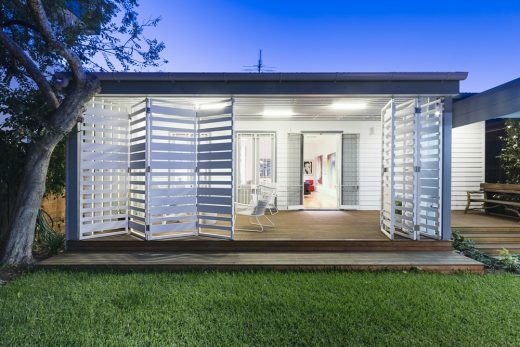 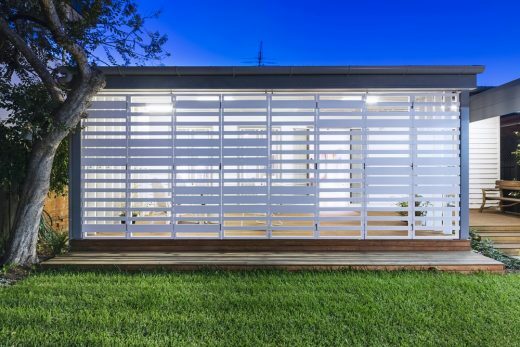 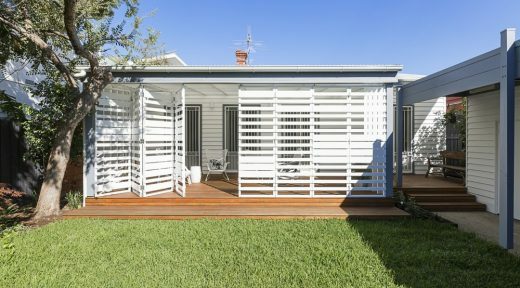 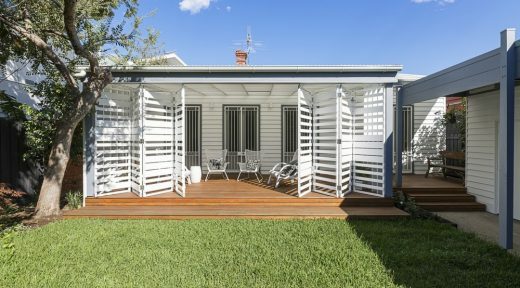 By the operation of a series of bi-folding screen panels across the front face of the verandah, it can either be fully opened or closed off from the garden and assists to control morning sun.